Posted by IndianaHCI on September 13, 2017, in Bremen. 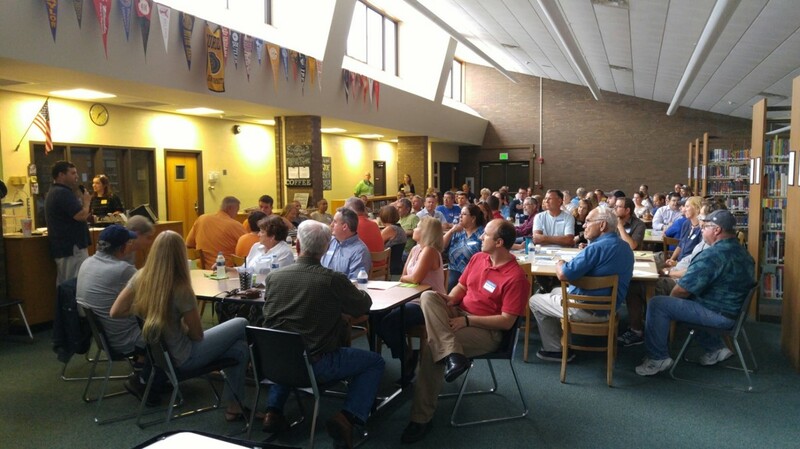 The Bremen HCI team wrapped up their summer gathering community data at their community forum on July 27. The team concluded its survey in June with over 900 responses from the residents and workers in Bremen. A number of local businesses helped get the survey site out to their customers, and several of Bremen’s largest employers made sure their employees had the opportunity to respond as well. Team member Alfredo Alvarado orchestrated a particularly successful social media campaign that drew a great deal of attention to the program and the survey. They will resume their regular meetings to determine their building block and begin working on a keystone project. “We’ve put a lot of time and effort into this program so far, and the HCI state team has made a serious investment in us,” said team member Anthony Wagner. “The Bremen community honored us with the amount of survey responses they provided and with the number of people that attended the forum. There was a lot of excitement at the opportunity to comment on existing issues and new opportunities in Bremen, and we need to move forward to keep that excitement going.